These 13mm keyless chuck percussion drills are able to accommodate larger-sized drill-bits up to 13mm in size, and therefore can be used to drill larger diameter holes. Because of this, they tend to be a little heavier and larger in size when compared to percussion drills that have a smaller diameter maximum size, such as the 10mm version. Percussion drills are mains powered tools. 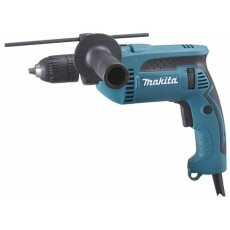 A hammer function is also included, which means that these drills are suitable for drilling both concrete and brick. Percussion drills can also be used to drill other materials, such as wood, metal and plastic. An SDS tool function is not supported on these drills. 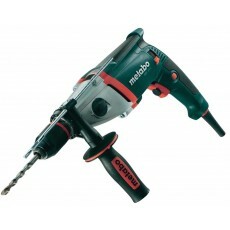 These 13mm percussion drills are keyless chuck drills, which means that the drill bits can be swapped by hand, and therefore they do not require a chuck key. The key consideration when choosing a percussion drill is the maximum drilling diameter required. 13mm refers to maximum drilling diameter in concrete & brick. 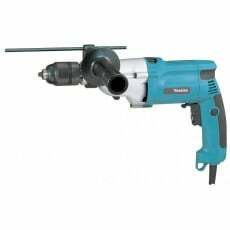 You can use a larger drill bit for metal, plastic & wood (& some machines allow this in concrete & brick too) providing it has a 13mm or smaller diameter shank to fit the chuck. A keyless chuck is tightened by hand. There is often a choice between single or 2 speed gears. Most percussion drills have a variable speed function.